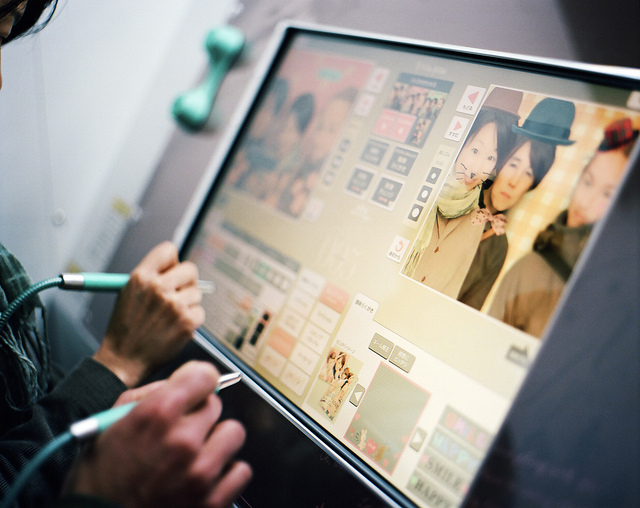 Perhaps you’ve heard about Japanese “Purikura” photo sticker booths. (Details about Purikura >> Wikipedia) Purikura machines have a variety of photo-manipulating functions such as “bigger eyes”, “smaller face” and “smoother skin”. Those functions have evolved quite a bit, and can occasionally make faces look TOO attractive… or just plain creepy! 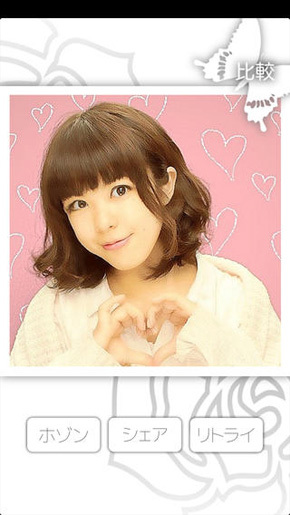 Take a look at the Purikura photo below. The eyes of the girl in the photo are unnaturally big, aren’t they? Recently, a revolutionary (and free) iPhone app called Primo was released. 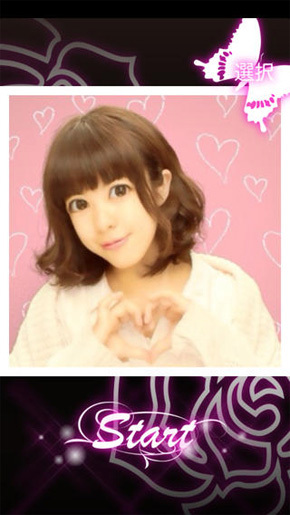 Primo is an app that can be used to reverse the exaggerated effects of Purikura photos. The picture below is the one edited with Primo.